Carleen Schaan is the Owner and Director of KidsPlay Preschool in Medicine Hat. She graduated from the Medicine Hat College with her Early Childhood Development Diploma in 1998. Since that time she has had a variety of different experiences within the childcare field including daycare and preschool and working as an educational assistant. She has been an active member of the MHDCCA for many years. Carleen is married to Mike and they have two busy boys. They enjoy spending time outside, traveling and camping. They also spend their summers at The Medicine Hat Drag Strip where Mike drag races along with her sons that are involved in the Jr Drag Racing program. Tammy Paulson is the Program Supervisor of the Before and After School Program at I.F. Cox School in Redcliff, Alberta. Tammy graduated from the Medicine Hat College in 1999 with a diploma in Early Childhood Development. She has worked with children in many areas of child care, including daycare, preschool, and Montessori. Tammy has also worked as an Educational Assistant for children with disabilities. She has been a member of the MHDCCA for many years and has served as a part of the Recruitment, Recognition, and Retention Committee. Tammy enjoys spending time with friends and her dog, Chloe. Lisa Lutz is the office administrator for Lawson Family Day Homes. She joined this family business in 1994. Lawson Family Day Homes was one of the founding members of the MHDCCA in 1989 and Lisa has been an active member for many years. Lisa and her husband, Miles, have two children and live on a ranch. They enjoy camping, watching hockey and spending time outdoors. Michelle is the Director at Medicine Hat Community Preschool. She has been working in the childcare field since she graduated from the ECD program at the Medicine Hat College in 2005. Prior to receiving her ECD diploma, she obtained a diploma as a Physical Therapist Assistant which she worked as only for a short time. Michelle has been a member of the MHDCCA for many years. Michelle was born and raised in Swift Current, SK, but moved to Medicine Hat straight out of high school to attend college. She now calls Medicine Hat home. She lives with her husband Mark, dogs Sydney and Tobi, and cat Sam. She has a step-daughter named Faith who is now attending the Medicine Hat College. Michelle enjoys learning (attending workshops and conferences), reading, camping, and going for walks. Michelle is passionate about the early education of young children and finds that it is her hobby as well as her job. MHDCCA, Bay 3-749 14 Street S.W. Jennifer began working with the MHDCCA in January 2009 as a Child Care Program Support Specialist. In September 2010, she transitioned into the MHDCCA Coordinator role. From 2011 to 2016, Jennifer was honoured to be a Governing Council Member for AELCS (Alberta Association for the Accreditation of Early Learning and Care Services). For the past 3 years, she has also been working as a Pedaogogical Partner for the Mount Royal University pilot project for the Alberta Early Learning and Child Care Curriculum Framework. 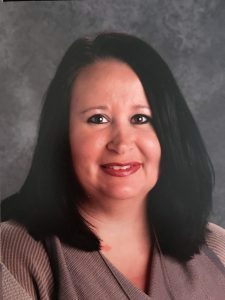 For a number of years, Jennifer was employed as an educational assistant working with children with hearing loss and other special needs in daycare and in elementary education. In addition to her job with the MHDCCA, Jennifer enjoys teaching sign language to children in a number of preschools in Medicine Hat. Academic Credentials include a Bachelor of Science from the University of Manitoba, a Diploma in Intervenor for Deafblind Persons from Medicine Hat College, and numerous hours of Continuing Education certified by Gallaudet University (a liberal arts university for persons who are deaf, hard of hearing and hearing located in Washington, D.C.). In 2015, she also completed her Early Learning and Child Care Certificate from Mount Royal University. Jennifer lives in Medicine Hat with her husband, Mathew and their son, Rylan. Her family enjoys biking, reading, playing games and traveling. The newest addition to the family is an orange, super-cute kittie named, Zimba!